The Ohio State University Department of Economics teaches and conducts research in four major areas: macroeconomics; applied microeconomics; microeconomic theory; and econometrics. The department has specific research strengths in the fields of behavioral economics, labor economics, econometric theory, quantitative macroeconomics, industrial organization, international economics, economic demography, economic history and consumer finance. Katherine (Katie) Coffman, assistant professor, economics, conducts research in the fields of microeconomic theory and experimental economics. Katie Coffman is a rising star in the field of gender differences in behavior in strategic environments. She spent 2014-15 on leave at Stanford University working with the leaders in this field. Her research has been published in the top economics journals. Coffman is a devoted teacher and advisor, and she recently was named a 2015 Distinguished Undergraduate Research Mentor. Nima Dahir, a junior honors student from Hilliard, Ohio, majoring in economics and mathematics, was named a 2015 Beinecke Scholar. Founded in 1975, the program provides $34,000 to support graduate studies to 20 students nationwide who have demonstrated superior standards of intellectual ability, scholastic achievement and personal promise. 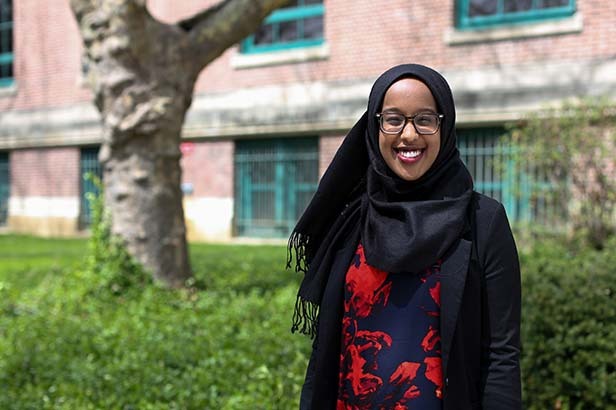 Dahir, the fifth Ohio State student to receive the scholarship, plans to obtain her PhD in economics and pursue a career in academia. Outside the classroom, Dahir is a Buckeye Leadership Fellow, a volunteer and board member for the Broad Street Food Pantry and the past editor of the Journal of Politics and International Affairs. The number of economics majors at Ohio State increased by two-thirds from 2003 to 2014, reaching almost 900 by 2014, including double majors and pre-majors. New courses in economics include a new distance-learning Principles of Microeconomics course and an online Principles of Microeconomics course. The distance-learning course allows students more flexibility in controlling their educational experience; the instructor is able to simultaneously present a lecture to students in the lecture hall and students online in remote locations. Lectures are recorded for later student access. The online Principles of Microeconomics course is a mixture of videotaped lectures, related online material, TED Talks, music videos, articles, reading assignments, chapter guides and online group experiments. Students have weekly assignments, quizzes, exams and papers. The Department of Economics hosted the 2015 Midwest Economic Theory and International Trade meetings in April. More than 100 economists presented their research during this conference, with some of the speakers traveling from Europe or Asia. The department participates in several university and Arts and Sciences Strategic Initiatives, including Decision Sciences and Health and Wellbeing. A new professor has been hired as part of the Discovery Themes’ Data Analytics Initiative.